Beware of asking the public to vote for something online. It could go horribly wrong. The National Environment Research Council, NERC, is learning that lesson as Boaty McBoatface tops its online poll to name a new £200m government-funded ship. It's not the first time organisers of online competitions have been left red-faced thanks to the pesky public. In 2010 a poll to decide a new tour destination for the singer resulted in North Korea taking the top spot - moving from 24th place to first in the voting in only two days. Fans of the idol couldn't "belieb" it given that nearly all citizens of North Korea are faced with severe internet restrictions and Western music is mostly off-limits. Almost half a million votes were cast, many thought to have originated from users of image-based bulletin board 4chan. 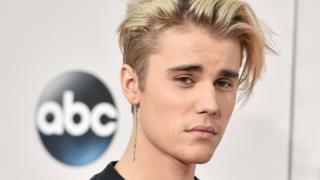 However, since the voting site was not endorsed by Justin Bieber's record label, he did not travel there despite the result. Dub the Dew in 2012 must have seemed like a good idea at the time. An Italian restaurant launched a promotional campaign to ask its internet followers to choose a name for the apple-green soft drink. But the PR stunt quickly backfired when the suggestions being offered proved to be rather offensive. Users of the 4chan bulletin board offered names such as "Hitler did nothing wrong" and "Diabeetus". The site was swiftly pulled, accompanied by an apology. The company conceded that the contest had lost to the internet. In 2007 when Greenpeace wanted to track a group of whales in the South Pacific in an attempt to stop them from being hunted, they decided to hold an online poll to name the animals. One of the most popular suggestions was Mr Splashy Pants. Support on social media sites Reddit and Boing Boing led to it gaining even more momentum, with 78% of the votes. Humphrey came in second with less than 3% of the vote. Mr Splashy Pants caused such a splash online it was even turned into a meme and a Facebook page. Following the result, Greenpeace stated: "He might have a great name but he and his friends are still in danger." When Walmart held a Facebook contest in 2012 to stage a concert by rapper Pitbull in any city where there is a Walmart store, comedy website Something Awful hijacked the poll and launched a campaign encouraging people to vote for rural Alaska. David Thorpe and Jon Hendren were the two pranksters persuading social media users to get on board with their plan. They even used the hashtag #ExilePitbull. Sure enough the city of Kodiak in Alaska won. Pitbull released a video acknowledging that the result was because of a joke, but added: "I will travel anywhere in the world for my fans." He honoured the result and flew out to chilly Kodiak, with Thorpe accepting an invitation to accompany him. Rory McClenaghan, senior editor at social media marketing agency We Are Social, says: "Crowdsourcing has proven to be effective. People can be more invested in a product, service or campaign if they feel involved in its creative process. "But it can be risky, so ideally you want to make sure you allow for some level of moderation. For example, in crowdsourcing campaigns in the past, we've used a judging panel of experts to select a shortlist for the public to choose from. "If you know you don't have to stand by the eventual result - where the poll is just a suggestion - then the publicity generated can be a good thing. "As long as you make sure you have enough moderation in place to make sure you'll be happy with the eventual outcome, there shouldn't be an issue. If you don't, it's all about how you handle your reaction. "For example, the Natural Environment Research Council should name one of the lifeboats Boaty McBoatface to show they're playing along with the joke. No-one likes a party pooper. "The best tactic in this particular kind of situation is to embrace the additional PR with a smile on your face and join in, as the NERC has, then slowly and tactfully wind down your activity, rather than panicking and pulling the campaign instantly."